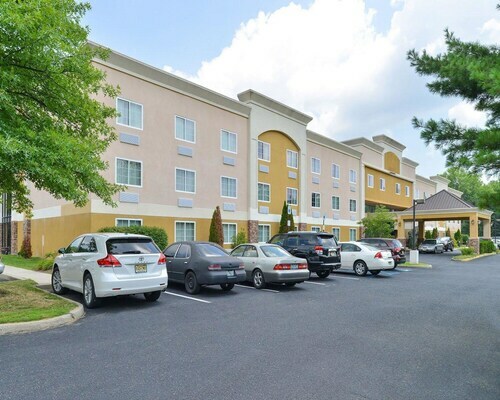 This Long Branch, New Jersey resort is within approximately one-quarter mile of Broadway Center. Monmouth University and the Monmouth Park Racetrack are within 3.3 miles. 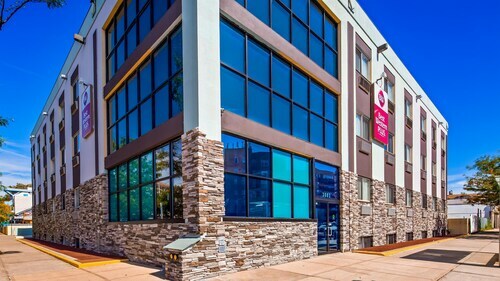 Situated by the ocean, this hotel is within a 10-minute walk of Broadway Center and New Jersey Repertory Company. Seven Presidents Oceanfront Park and Monmouth University are also within 3 mi (5 km). 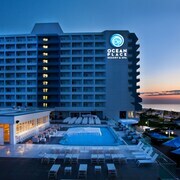 Situated by the ocean, this spa resort is within a 15-minute walk of Broadway Center and New Jersey Repertory Company. Seven Presidents Oceanfront Park and Monmouth University are also within 3 mi (5 km). Situated in Long Branch, this historic vacation home is within 1 mi (2 km) of MAC at Monmouth University and Monmouth University. New Jersey Repertory Company and Broadway Center are also within 3 mi (5 km). 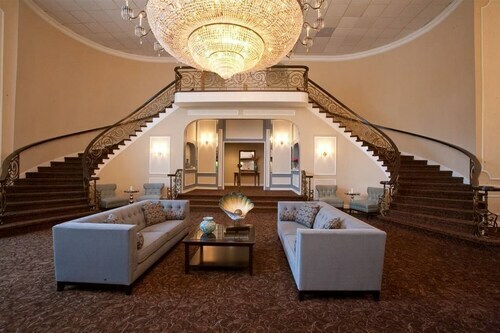 How Much is a Hotel Room in Long Branch? 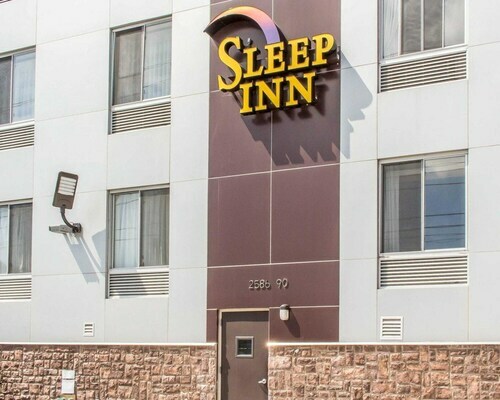 Hotels in Long Branch start at C$182 per night. Prices and availability subject to change. Additional terms may apply. The wind tousles your hair as you take a deep sip from your glass of wine. You chose this restaurant along the boardwalk because its deck offered panoramic views of the shoreline—and you’ve been gazing for quite some time. In between chapters of your novel, you look up and attempt to absorb the delightful frenzy of activity unfolding before you, as beachgoers splash in the water playfully while locals stroll down the boardwalk admiring the horizon. While you watch, you feel a simple pleasure in this pastime, because it’s reminded you that being near the sea is where you feel best; a sentiment that will be echoed during your stay at hotels in Long Branch, NJ. The long stretch of golden sand beckons you to stretch out and bathe in the sun’s rays. After applying a fair amount of sunscreen to your limbs, you lie back and relax. Could anything be more pleasant than dozing in the afternoon sun? Your eyes nod heavily as you scribble passing thoughts into your notebook. As the clouds shift overhead and allow more light to shine down upon you, you decide it’s time for a dip in the Atlantic. Wading through the soft sand and feeling the occasional seashell brush against your foot, you begin your best breaststroke and push out past other swimmers. Once you’re far enough out, you surrender to the calm, cool blue water. You feel weightless and far removed from the gentle commotion of life at the beach. Do you need to return to shore? Couldn’t you live out the rest of your days like an untethered human island? Eventually, you allow yourself to be carried back to dry land on the crest of gentle waves. After toweling off, you head back to the Long Branch hotels. The ocean has left you feeling as serene as you imagine a mermaid might, but unlike the fictional water nymphs, you need Long Branch rental cars to access the shoreline in the first place. 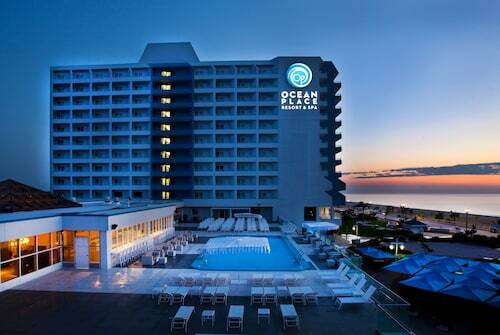 Should you spend more time wading in the ocean outside hotels near Long Branch? The effortlessly calm lifestyle of the sleepy beach town has piqued your interest. Or should you carry on to hotels in Atlantic City, where you can accompany salt-soaked days with strolls along the boardwalk? The choice is in your hands, but either way, you rest easily knowing the ocean will remain in close proximity. Everything looked pretty new and the location was only about 10 minutes by Uber from Coney Island. Breakfast was good and staff was friendly. I would definitely stay here again. On check in, we were told we had to give the desk a $100 room security deposit. This was not in any of the registration information. The front desk told us if we didn't pay cash, it would be 10 working days to refund our credit card. So, kinda different. Then there were 3 people staying in our room and only one set of towels. Went back to the front desk and they said they were out of towels. Checked back twice, still no towels. Finally the next morning, we got towels from the housekeeping supervisor. Not going back....oh, yeah, they provided the smallest cups possible for coffee maybe 6oz ..who does that? ?